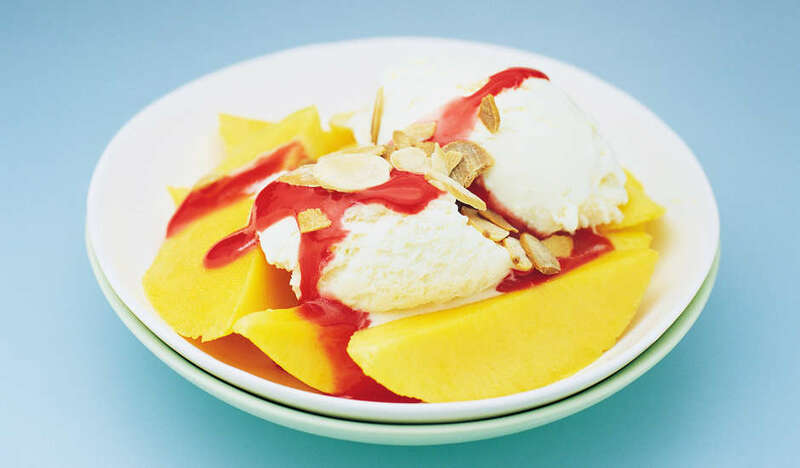 Divide the sliced mango into serving bowls. Top with ice-cream and spoon over the berry sauce. Garnish with roasted almonds if you like.